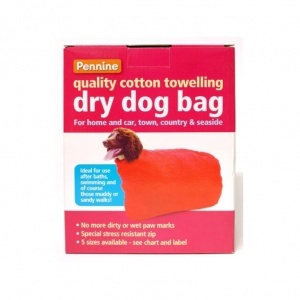 Super Absorbent Towelling bag to dry and clean your dog after wet and muddy walks. Made from top quality absorbent towelling, the Dry Dog Bag has a special heavy duty nylon zip which prevents dog hairs being caught. After a walk simply zip up your dog in the bag. 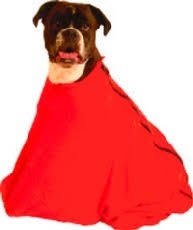 Heat from the dogs body speeds up the drying process and any movement helps to clean off mud and dirt.